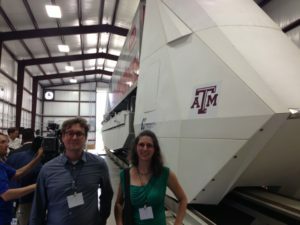 Can the Freight Shuttle Reduce Congestion and Clean Houston’s Air? On September 9th, Adrian Shelley and I went to Bryan, Texas, to watch the unveiling of the Freight Shuttle System (FSS), a technology currently being built and tested by Freight Shuttle International. Dr. Stephen Roop, chief scientist at Freight Shuttle International and and professor at the Texas A&M Transportation Institute, opened the unveiling with a press briefing sharing his vision. The FSS is an electric, autonomous shuttle powered by a linear induction motor, providing low friction to the steel wheels running on steel lines, similar to train tracks. The FSS combines elements of truck and train transport – single shuttles run on a track similar to a train track, and according to Dr. Roop’s vision, those tracks would be elevated from other modes of transportation to reduce congestion, provide a strong level of predictability and non-stop service, and reduce infrastructure damage often associated with truck transportation. Dr. Roop noted the emissions of the FSS are tied to the source of power. What that means is that the FSS itself would generate no point-of-source pollution like the cancer-causing pollution created by diesel engines currently on the road. Furthermore, because the FSS would operate under DC voltage, it could be tied easily to renewable energy. In that way, the FSS could take advantage of the increasing access to renewable energy in Texas and potentially be net zero in terms of carbon pollution. The FSS is not designed to transport hazardous or toxic materials, and although it could possibly be used to transport people, it is intended now to be separate from people – that is to be contained within a separate line so that the roads and highways can be used for people, not cargo. The Port of Houston Authority signed a memorandum of understanding with Freight Shuttle International and is planning to use the FSS to transport cargo between its container terminals, Bayport and Barbour’s Cut. Freight Shuttle International stated that the FSS line could be operational within 3 years. The City of Georgetown announced yesterday that it will provide the entire city with clean, affordable renewable energy by 2017. This is thanks to new contract with Sun Edison to provide 150 megawatts of solar energy by the end of 2016 and the City’s existing wind energy contracts. The primary reason cited by the City for choosing 100% renewable energy is to protect customers against volatile and rising fossil fuel energy costs and regulatory uncertainties. A recent Public Citizen report shows this is a wise financial move. That report demonstrates that shifting from coal power to alternative energy sources could result in significant savings for electric utilities and their customers. The switch will also save the Texas public in pollution-related health care costs and economic losses due to premature mortality. Wind and solar are clean, safe, and financially sound energy options. As our report shows, it’s no longer clean energy that’s expensive. Now it’s coal that is too costly to continue. Georgetown’s 25-year contract with Sun Edison will protect its ratepayers from natural gas price spikes and from costs associated with old coal plants. Wind and solar energy prices are predictable and affordable because they have no fuel costs and don’t pollute. Switching to renewable energy also reduces water use. As water scarcity continues in Texas, drought-proof energy sources are increasingly important. Wind power requires no water and solar only uses a small fraction of what fossil fuel energy sources use. Water has been a limiting factor for energy production for fossil fuel generators and will likely continue to be in the future. If more Texas cities follow Georgetown’s lead, our state will be in a better positions to tackle the challenges of reduced water supplies, unhealthy air pollution, and fluctuating fossil fuel prices. This is an exciting time, because utilities no longer have to choose between clean energy and affordable energy – they are one in the same. Some of the Affordable Energy Resolution community supporters celebrate with Councilman Chris Riley, who was the lead sponsor of the resolution. Photo by Al Braden. A diverse coalition of groups representing workers, people of faith, low-income residents, clean energy supporters and environmental advocates united in their of goal of expanding affordable clean energy and protections to public health cheered the Austin City Council for adopting the Affordable Energy Resolution late Thursday evening. The resolution comes after years of community-led work to study Austin Energy’s portfolio and generation plan, identify opportunities to strengthen the municipal utility’s clean energy and climate commitments while meeting the needs of low-income communities and after community members demonstrated strong demand for more affordable clean energy and less pollution on a reasonable but aggressive timeline. The Affordable Energy Plan calls for Austin Energy to generate more than 60 percent of its power from renewable sources by 2025 and eliminate carbon pollution from its generator fleet by 2030. It directs the utility phase out the Decker gas-fired power plant by investing in 600 megawatts of solar power, enough to power more than 100,000 homes. The landmark resolution also takes significant steps to expand local solar power. It doubles Austin’s local solar goal to 200 megawatts, with half of that goal reserved for distributed residential and commercial solar projects. 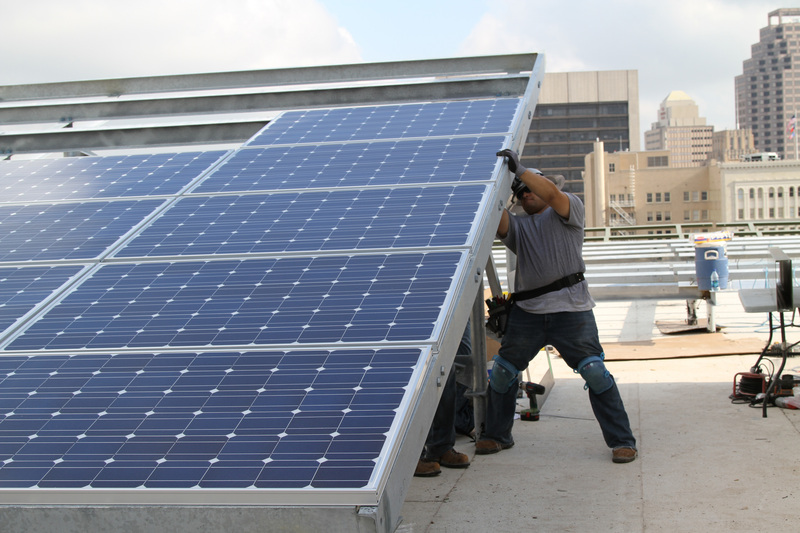 And the resolution expands access to rooftop solar projects by including solar leasing as an option for residents and businesses and by refining Austin Energy’s innovative value of solar tariff. A separate resolution was also passed to establish a task force to make recommendations on expanding the utility’s energy savings goal and ensuring that energy efficiency services are provided to people of all income levels. Energy efficiency is the most easily deployed, lowest-cost option for meeting energy needs and will be a critical component of meeting climate goals for the utility. 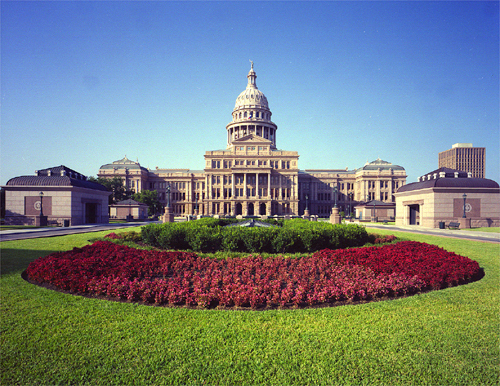 The City of Austin has long been a leader in Texas and nationally. The City announced its plans to power all city buildings and operations with Texas wind power in 2012, and earlier in 2014 Austin Energy announced a new solar power project at the lowest cost in U.S. history. In June 2014, the Austin City Council became first elected body in the nation to endorse the goals of the Clean Power Plan, the U.S. Environmental Protection Agency’s proposed plan to curb carbon pollution that drives climate disruption. The Decker natural gas-fired power plant is a major contributor to smog pollution in Travis County. Replacing the plant with clean solar power will cut smog and improve air quality for the more than one million residents in the county, protecting children, seniors and people suffering from asthma and other respiratory illnesses. “In its opposition to this resolution, Austin Energy continued the tradition of marginalizing the communities near Decker by citing money as a primary concern at the expense public health. By passing this resolution, City Council members have finally recognized that every Austinite should have the right to clean air. That this is an issue of justice and that it is an issue of equality,” said Mayte Salazar-Ordonez, a volunteer leader with Austin Beyond Coal. As Austin Energy develops its plan to meet the goals of the Affordable Energy Resolution, building new gas- or coal-fired power plants will not be an option, representing an opportunity to move beyond traditional power plants and further tap Texas’s renewable energy potential. The coalition will now look to secure timely retirement of the Fayette coal-fired power plant to meet the city’s carbon pollution elimination goal as well as to cut the soot, smog and mercury pollution coming from the plant that impacts local communities, farms and waterways. Nationwide, 178 coal-fired power plants have been announced for retirement as clean energy solutions like wind, solar and energy efficiency have cut air pollution, lowered costs for consumers and created jobs. “CREZ will turn out to be the most visionary thing this state has ever done electricity-wise,” predicts Jeff Clark, executive director at the Wind Coalition, a regional partner of the American Wind Energy Association (AWEA). Only a few days ago, the final segment of Texas’s $6.8 billion, 3,600 mile Competitive Renewable Energy Zone (CREZ) transmission build-out was completed. The project, which has been in the works for over eight years, could signal the beginning of another era of wind power development in Texas. In 2008, the Public Utility Commission of Texas (PUCT) identified five competitive renewable energy zones (CREZs) – geographic areas ideal for wind farms – in the Lonestar State . However, in order to get the energy generated in these CREZs to the areas that need energy most (Dallas-Fort Worth, Austin, Houston and San Antonio), transmission lines needed to be built. Instead of waiting for wind developers to come to Texas, and then begin the multi-year, multi-billion dollar project, the PUCT decided to put in the lines beforehand to entice developers to take advantage of the already existing infrastructure. The new transmission lines, which will be able to transmit up to 18,500 megawatts of power across the state, will increase the wind capacity in Texas by over 50%, which will be three times as much as any other state in the nation. The large amount of potential wind energy in Texas, along with the new infrastructure, has already resulted in more wind developers coming to Texas, including a project in the panhandle by Pattern Energy Group that broke ground back in October. All in all, the completion of the Texas CREZ Project is a huge step forward to moving our state towards absolutely clean, renewable energy. Instead of waiting for developers, PUCT has been proactive in creating a better future for our state. Is Austin Energy joining the war on solar? Bit by bit, our publicly owned, nationally renowned, supposedly green electric utility is trying to roll back programs that support customer owned solar. Austin Energy is cutting the Value of Solar tariff, which compensates solar owners for the energy they produce, by 16 percent on January 1. A lower solar tariff means fewer people will choose to purchase solar panels, which means our environment and local economy will suffer. 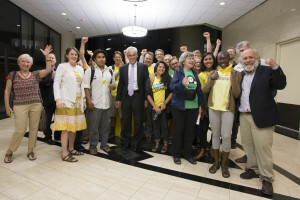 Tell the Austin City Council to stand up for clean energy and pass a resolution delaying reduction of the solar tariff. Cutting the solar tariff isn’t the only attack under way. On January 1, Austin Energy will also confiscate all solar credits. Customers earned those credits by providing energy that the utility took and sold. Now Austin Energy is planning to take those credits away. And just this week, the utility cut solar rebates for the second time this year. These cuts were reportedly made to keep the program from running out of funds, but Austin Energy could have asked for more funding for the solar rebate budget. The Austin City Council governs Austin Energy, so it’s up to it to keep the utility honest. Demand a resolution delaying the solar tariff change until after the public has had a chance to give input. While other utilities are fighting to keep customers from generating their own electricity, Austin Energy should not play that game. Austin Energy’s solar programs have given it and our city great publicity and helped to build a growing solar economy in the Austin area. Let’s not lose that momentum. Our utility needs to start listening to us – the people who own it. Send the Austin City Council an email right now. We only have a few days to stop this attack before the City Council takes its winter break. Please help by sharing this post with friends, family and neighbors in the Austin area. If you work for a solar company, please forward this email to your customers. The newly formed Re-Energize San Antonio Coalition put its opposition to CPS’s proposed rate hike on the record during a Sept. 9 citizen’s input meeting. Coalition representatives presented the utility with a plan of action that they want addressed before an increase goes into effect. Here’s the petition. Submitted to CPS Energy during the CPS Rate Case Input Session, Monday, Sept. 9, 2013. The newest report from the Intergovernmental Panel on Climate Change, leaked to media earlier this week, is frightening and conclusive. The panel of several hundred scientists, which won the 2007 Nobel Peace Prize, says the odds are at least 95 percent that humans are the principal cause of climate change. The panel predicts an increase of 5 degrees Fahrenheit by the end of the century and warns that a rise of that magnitude would cause “extreme heat waves, difficulty growing food and massive changes in plant and animal life, probably including a wave of extinction,” according to the New York Times. Yet U.S. Rep. Lamar Smith (R-Texas), chair of the Committee on Science and Technology, claims the science is uncertain about how much of the warming is caused by humans. 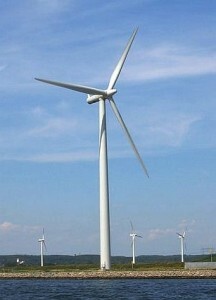 Texas is a state that is abundant with clean and renewable sources of energy. From the booming wind industry, to the emerging solar sector, Texas is primed to be a clean energy leader. And now thanks to the SMU Geothermal Laboratory, Texans have one more reason to go green. Given that geothermal in Texas would most likely be small distributed generation systems of 250 kw to 1 MW per well, a realistic Enhanced Geothermal System (EGS) potential for Texas is 318,652 exajoules (EJs). To put that in perspective, that is enough to power the entire industrial sector for over 500 years at the 2008 Texas electrical consumption rate of 32,525 thousand megawatt-hour (MWh). Tapping into these resources would provide a clean source of energy, while invigorating rural economies with jobs growth and investments. And since geothermal uses existing wells, it could be rapidly deployed to create a clean energy boom for East Texas. You’ve probably heard how solar and wind are intermittent energy sources that aren’t always available, but that’s not the whole story, or necessarily the most important part. When an energy source is available is a critical piece of the puzzle. We don’t need nearly as much electricity in the middle of the night as we do at 5 pm on a week day when people get home from work and turn down their air conditioning and start cooking dinner, watching TV and doing laundry – often all at the same time. 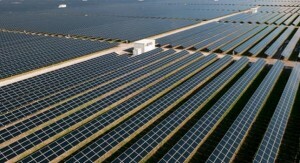 And now the Electric Reliability Council of Texas (ERCOT) – the entity responsible for keeping the lights on in most of Texas – is officially recognizing that solar energy is available right when we need it the most – on sunny afternoons – and that wind resources are able to contribute far more than was once believed to meeting our energy needs at those times as well. ERCOT has no special love for renewable energy – protecting public health and the environment isn’t a factor in its decisions – but it has studied the issue and decided to give solar and wind generators the credit they actually deserve. Solar facilities up to 200 MW (that’s like a gas plant) will be given a 100% capacity value, although larger solar facilities will have a somewhat lower rating. 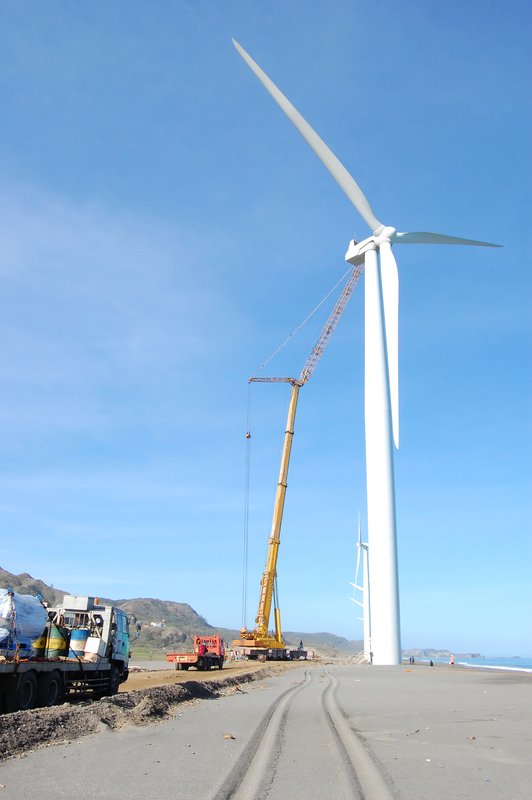 Coastal wind will have a 32.9% capacity value. Coastal wind blows more during the day than West Texas wind, which blows mostly at night, but even non-coastal wind will now get a 14.2% capacity value. Capacity value corresponds to how likely it is for an energy source to be available during peak energy demand – typically a hot, summer afternoon. Wind has become a real contributor to the Texas energy portfolio and we can look for solar to make an even larger contribution in the years to come. This policy change at ERCOT will help us move in that direction. Is Houston Cleaner Than Your Town? Probably not overall, but the City of Houston has made a historic commitment – to buy half its power from renewable sources. Houston was built around the oil and gas industries and has long suffered the consequences of being home to many of the nation’s most polluting refining and chemical manufacturing facilities. Purchasing clean energy for the City’s facilities won’t change all that, but it does represent a significant change in mindset. In the absence of federal legislation to address the increasingly pressing problem of climate change, local action has become essential. At the very least, the energy used in public buildings – that taxpayers pay for – should be clean energy. Houston is taking a huge step in that direction. Wind energy is already one of the cheaper energy sources in Texas and solar energy is becoming competitive, especially as prices increase with higher energy demand. These trends will be helped by large-scale investments like the one Houston is making. Moving away from energy from coal-fired power plants will also help keep jobs growing in Texas. Luckily, this isn’t an issue of jobs vs. the environment. It’s an easy choice of supporting both. Kudos to Houston to for recognizing an opportunity to take a leadership role. Talk to your local elected officials about using clean energy to power your public buildings. With the regular session behind us and energy and environmental issues not likely to find a place in the special session, it’s a good time to look at what we accomplished. Our wins came in two forms – bills that passed that will actually improve policy in Texas and bills that didn’t pass that would have taken policy in the wrong direction. Allows commercial and industrial building owners to obtain low-cost, long-term private sector financing for water conservation and energy-efficiency improvements, including on-site renewable energy, such as solar. Permitted Austin City Council to turn control of Austin Energy over to an unelected board without a vote by the citizens of Austin. We did lose ground on the issue of radioactive waste disposal. Despite our considerable efforts, a bill passed that will allow more highly radioactive waste to be disposed of in the Waste Control Specialists (WCS) facility in west Texas. Campaign contributions certainly played an important roll in getting the bill passed. We were also disappointed by Governor Perry’s veto of the Ethics Commission sunset bill, which included several improvements, including a requirement that railroad commissioners resign before running for another office, as they are prone to do. Read Carol’s post about this bill and the issue. With the legislation over and Perry’s veto pen out of ink, we now shift our attention to organizing and advocating for a transition from polluting energy sources that send money out of our state to clean energy sources that can grow our economy. Develop an environmental platform for the 2014 election cycle. Our power comes from people like you getting involved – even in small ways, like writing an email or making a call. If you want to help us work for a cleaner, healthier, more sustainable future, email me at [email protected] And one of the best things you can do is to get your friends involved too. You may have never heard of Property Assessed Clean Energy (PACE), but it has the potential to make a huge difference in adoption of distributed renewable energy systems, such as rooftop solar installations. PACE allows businesses to borrow money from local governments to work on energy efficiency and renewable energy projects in the buildings they occupy. Since PACE is funding is loans, there is no real expense to the taxpayer. On the other side of the coin, it allows businesses to spread out the costs of becoming more environmentally friendly over time, all while lowering their monthly utility costs. This strategy is a win-win-win for Texans. Business save money, the environment benefits, and it cost Texans nothing. The Texas Legislature is currently considering legislation that would move PACE forward for our state. Senate bill 385 has already cleared the hurdle of the Texas Senate, and now is pending in our House of Representatives. House bill 1094 is still waiting be voted out of the House Committee on Energy Resources. The House should move forward to adopt this common sense measure. As of 2013, 27 states and the District of Columbia have PACE legislation on the books to help combat harmful emissions from electric generation. States from California to Wyoming have enacted PACE programs. Generally, in these states, the financing terms are 15-20 years. It works very much like taking out a home loan, or perhaps a better example would be a home improvement loan, but for commercial properties. Disbursing the payments over a longer period of time makes these efficiency upgrades affordable for a wider variety of business. It also makes upgrades attainable for smaller businesses. I urge fellow Texans to get in touch with their State Representative and tell him or her to support the PACE bills (HB 1094 and SB 385). This is common sense legislation that benefits everyone. Click here to find out who represents you. It wouldn’t be a Texas legislative session without some truly backwards bills. Today we have House Bill 2026 by freshman Representative Sanford of Collin county that would eliminate our state renewable energy goals. In 1999, the state of Texas made a commitment to renewable energy in the form of the renewable portfolio standard (RPS). 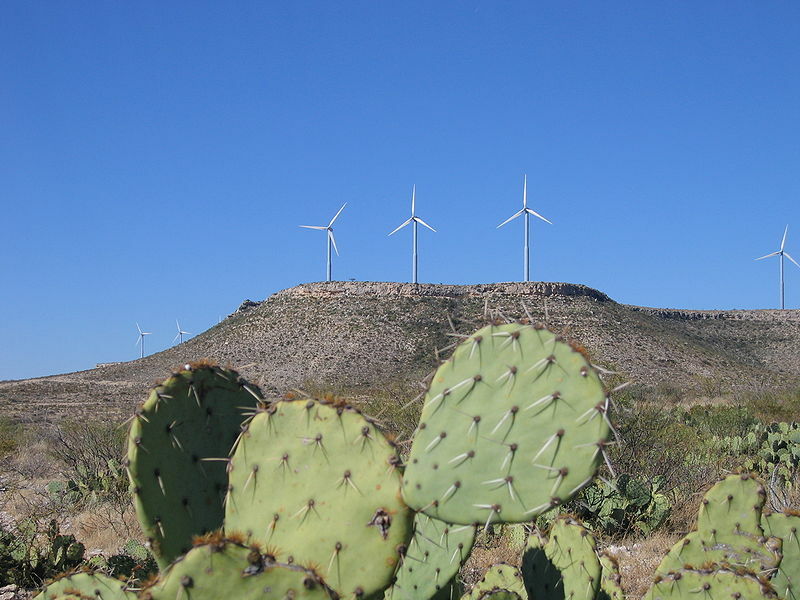 That decision played a major role in spurring the development of the wind industry in Texas. We have now exceeded the renewable energy goals established in the 2005 update to the RPS and Texas has more wind energy capacity than any other state. On the surface that may seem to indicate that the RPS has been 100% successful and is no longer needed, but that isn’t the case. One of the major reasons for establishing the RPS was to encourage diversification of our energy sources, which ultimately makes us more resilient to physical and economic forces that can impact the availability and price of energy sources. While wind energy has increased from zero percent when the RPS was first established to around ten percent today, other renewable energy sources are still largely absent from our energy portfolio. With more solar energy potential than any other state, Texas should be the center point of the solar industry as well. Instead we are lagging behind states with far less solar resources, such as New Jersey and Pennsylvania, and are paying the price in missed opportunities for job growth and new generation capacity that can produce during peak demand. Solar companies invest in California and other states, because smart policies created attractive markets in those places. 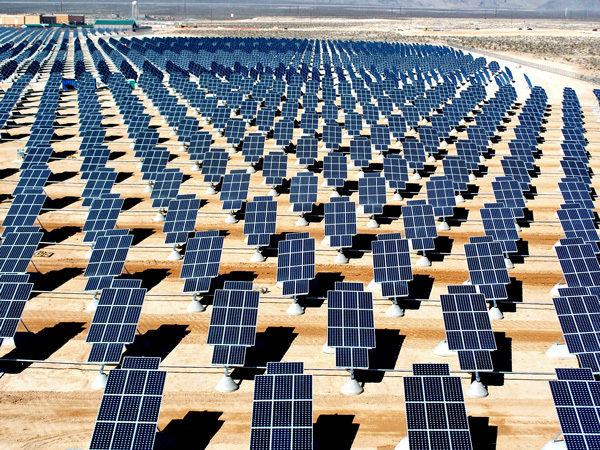 California has 1,505 solar companies compared to Texas’ 260. Even New Jersey has more, with 382. Texas should be doing more, not less to attract solar businesses to our state. Projections showing that we won’t have enough electricity to meet demand by 2020. The maximum wholesale price of electricity has been set to triple by 2015, without even determining what the cost to consumers will be. 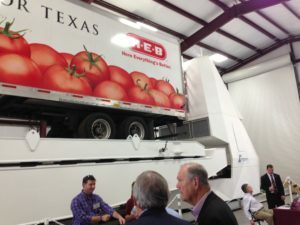 There have been workshops and meetings to consider the prospect of implementing a capacity market in Texas, which would raise costs even more. But little time has been spent considering simpler, cheaper solutions such as expanding efficiency and demand response (where customers get paid to reduce there energy usage for short periods of time when demand is high) and getting more solar capacity built in Texas. Solar is most productive when we need it the most – on hot, sunny afternoons. The RPS should be retooled to focus on solar and other renewable energy resources that are most capable of producing during peak demand. Millions of dollars could be saved in the wholesale electric market if we had more solar panels installed. Solar, like wind, also has the benefit of needing very little water to operate. Solar photovoltaic (PV) installations need an occasional cleaning to keep performance high, but the amount of water need is minimal in comparison to fossil fuel options. Coal-fired generators need billions of gallons of water to operate each year and while natural gas-fired generations consume less water than coal-fired generators, they still use more than solar, even without accounting for the millions of gallons of water used to extract the gas with hydraulic fracturing. Including more renewable energy in our portfolio will make our electric grid less vulnerable to drought and will free up water supplies that are desperately needed for human consumption and agriculture. Abandoning the RPS now would send a terrible signal to renewable energy companies that are deciding where to establish their businesses. Our state made a commitment that isn’t set to expire until 2025 at the earliest. There is no good reason to abandon the policy now. We should be moving in the opposite direction of what is proposed in HB 2026. Instead of giving up on a policy that has been successful, we should be looking at ways to build on that success and benefit our state. AWEA. 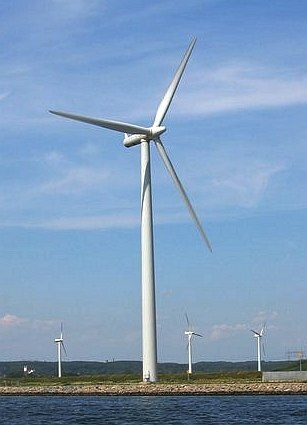 “Wind Energy Facts: Texas.” Oct 2012. http://www.awea.org/learnabout/publications/factsheets/upload/3Q-12-Texas.pdf. NREL. “U.S. Renewable Energy Technical Potentials: A GIS Based Analysis.” July, 2012. Pg. 10-13. http://www.nrel.gov/docs/fy12osti/51946.pdf. SEIA. Solar Industry Data. http://www.seia.org/research-resources/solar-industry-data#state_rankings. SEIA. State Solar Policy. http://www.seia.org/policy/state-solar-policy. “Report on the Capacity, Demand, and Reserves in the ERCOT Region.” Dec 2012. Pg 8. http://www.ercot.com/content/news/presentations/2012/CapacityDemandandReservesReport_Winter_2012_Final.pdf. Weiss, Jurgen, Judy Chang and Onur Aydin. 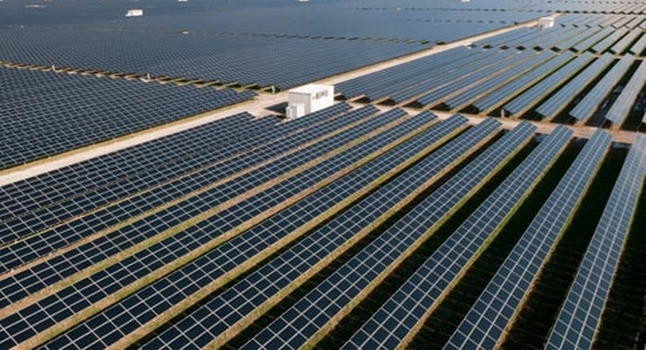 “The Potential Impact of Solar PV on Electricity Markets in Texas.” The Brattle Group. June 19, 2012. http://www.seia.org/sites/default/files/brattlegrouptexasstudy6-19-12-120619081828-phpapp01.pdf. Wu, M. and M. J. Peng. “Developing a Tool to Estimate Water Use in Electric Power Generation in the United States.” Argonne National Laboratory – U.S. Department of Energy. http://greet.es.anl.gov/publication-watertool. Chlorella sp. is a species of algae that has a significant proportion of fatty acids to its body mass. For humans, this can be a problem. But, in a world needing more clean energy, fatty biomass is considered a promising option by many scientists and engineers. Why algae? Algae can grow in a body of water almost anywhere. We don’t need to use any of our precious farmland to grow it. Water conservationists may initially be concerned, but a group of scientists found that Chlorella sp. thrives in our waste water. Not only that, it cleans up the water, removing ammonia and a host of toxic metals. 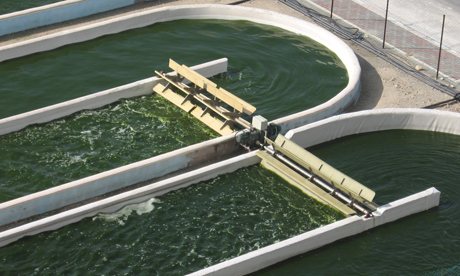 According to their report, the algae could be used to help clean up waste water at municipal water treatment plants then harvested for biofuels. I had a chance to speak with Dr. Martin Poenie, Associate Professor in Molecular Cell & Developmental Biology, at The University of Texas at Austin. The Poenie Lab is helping to develop a technique for harvesting the oils from algae that could greatly reduce cost. Dr. Poenie also told me algae can be a significant source of phosphates, which we use in fertilizers. One of the most significant things about algae biofuels, is their small carbon footprint and high energy content. CO2 is sequestered during the growth phase of the algae and it is not released until the fuel is burned. 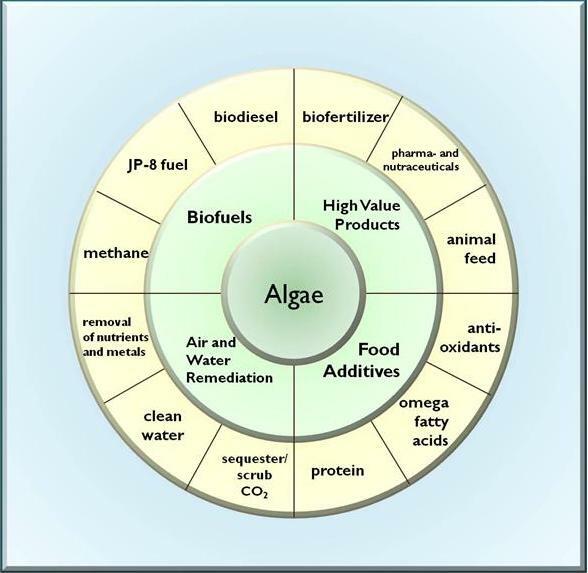 On the whole, biofuels from algae look promising, and the variety of products that can be derived from it will make algae farming even more profitable. Texas could do more to capture the energy and job benefits from this home grown energy source. Texas Legislature should act to strengthen renewable energy goals. HB 303, SB 1239, and HB 723 would all be good steps in the right direction. Two bills have now been filed in the Texas House that would expand the state’s goals for renewable energy. Representative Rafael Anchia‘s bill, HB 723, would establish goals for growing renewable energy installations other than large-scale wind through 2022. Similarly, Representative Eddie Rodriquez‘s bill, HB 303, would establish a goal for solar installations and increase the existing goal (which was met 15 years ahead of schedule) for all renewable energy for 2020. We applaud these efforts and the leadership that Rep. Anchia and Rep. Rodriquez are showing by filing these bills. These proposals recognize that success is a good thing and something we want more of. You wouldn’t think that would need saying, but when a state agency recommends tossing out a successful policy, I start to wonder. Texas’s renewable energy goals have been extraordinarily successful. Not only have the goals been met ahead of time, but they have spurred development of the wind industry in Texas, bringing economic benefits to rural parts of West Texas, as well as to manufacturing centers. On top of that, wind energy is helping to keep electric bills lower. A carpenter doesn’t throw away her hammer just because she finished building her first book shelf and Texas shouldn’t repeal it’s renewable energy policies, just because we’ve met some of our goals (remember, the non-wind goal was never enforced). Wind energy does now makes a substantial contribution to meeting the state’s electrical needs – it contributed a record 26% this past Christmas day, but solar energy is still very underutilized (accounting for less than 1% of energy on the ERCOT grid, which serves 85% of the Texas population) and the geothermal energy industry is still getting off it’s feet. As Rep. Anchia and Rep. Rodriquez’s bills show, this successful policy tool can be adjusted to keep moving Texas forward.